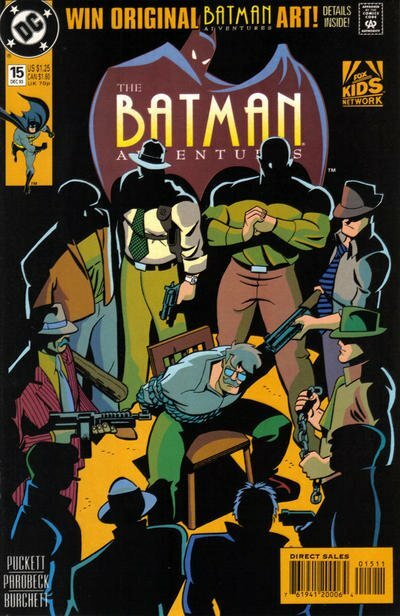 Click Here To See Batman Adventures #15 Comic Book! WOW! Not many times will you EVER find a Batman cover for sale by the much sought after late great Mike Parobeck! This neat 1993 cover, from the story titled: "A Soldiers Story!" 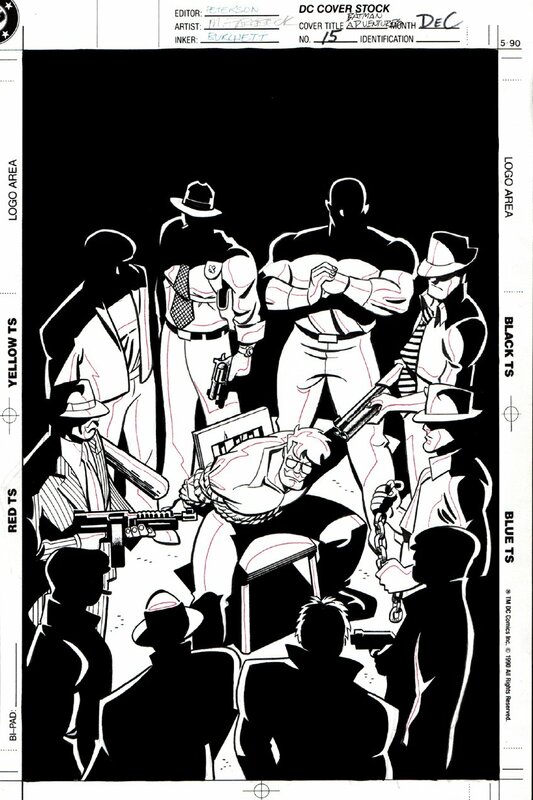 features a nice image of Commissioner Gordon held hostage by 10 thugs! Don't miss out on this one as it just may be your 1 chance to own a Mike Parobeck BATMAN COVER at a reasonable price! Just a neat 1993 cover! Compare this nice cover art to the published comic book in the red link above, COOL!